DC Comics' famous "Batman: Hush" storyline by Jeph Loeb and Jim Lee is finally getting adapted for the screen, in the form of a DC Universe Animated Movie. 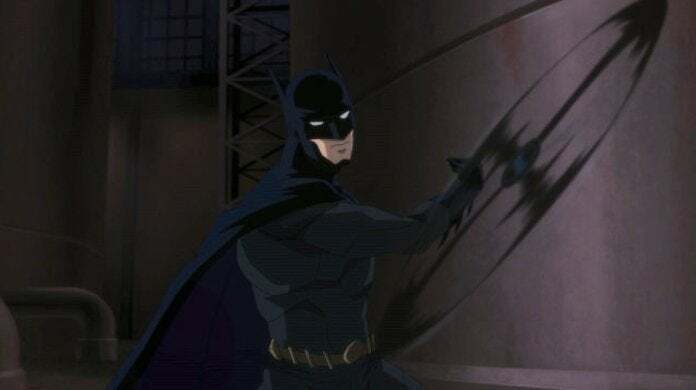 Now, thanks to a new article, we have the first photo of Batman from the upcoming Batman: Hush movie, who will one again be voiced by actor Jason O'Mara (Justice League War, Batman vs. Robin, Agents of SHIELD). "The film brings back many DC Universe Original Movie veterans, including Jason O’Mara, who reprises the role of Batman. O’Mara is joined by Jennifer Morrison as Selina Kyle, Jerry O’Connell as Superman, Rebecca Romijn as Lois Lane, Rainn Wilson as Lex Luthor, Sean Maher as Nightwing, Bruce Thomas as Jim Gordon, Stuart Allan as Damian Wayne, and James Garrett as Alfred. Homeland actor Maury Sterling voices the key role of Thomas Elliot. Rounding out the cast are Geoffrey Arend as Riddler, Vanessa Williams as Amanda Waller, Jason Spisak as Joker, Adam Gifford as Bane, Dachie Alessio as Lady Shiva, Peyton List plays dual roles as Batgirl and Poison Ivy, and Tara Strong voices Reporter...Batman: Hush is directed by Justin Copeland and written by Ernie Altbacker." If you don't know the 2002-2003 storyline: "Hush" is a true Batman detective mystery, which sees the Dark Knight being stalked by an unseen foe. This shadowy manipulator not only sabotages Batman's missions at key moments, but as the investigation quickly proves, this puppet master is also retraining Batman's old rogues to work in new, coordinated ways. The deeper Batman looks into the matter, the clearer it becomes that he's locked in deadly chess game with a player who is always two moves ahead - and worse yet, his enemy isn't just playing Batman, but Bruce Wayne as well. The implications of that fact end up changing both Batman and Bruce's worlds forever. Hush is now famous for just how deeply it explored Batman and Bruce Wayne - as well as new dimensions of the Wayne family history. More than that though, the story approaches so many of the fan-favorite Batman rogues in some pretty hard-boiled detective Noir angles, revitalizing some of the classic enemies, while introducing some great new ones. It's going to be interesting to see it play out in animated form; if we had to guess, the photo above depicts one of the earliest scenes in the story, when Batman is taking down Killer Croc on what he thinks is a routine hostage rescue mission. Batman: Hush is expected sometime in 2019.